The June 30th deadline for the contact information contest with the EWC Associates Office is fast approaching! A little over two weeks remain for you to update your contact information with us by updating via our EWCA Online Community or by sending in an Updates Form found on our Contact Information page of our website. When we receive your updated information you are automatically entered in a drawing to win EWC memorabilia and a chance for the grand prize of a free registration to the EWC 50th Anniversary Golden Jubilee Alumni Conference ($250 value). If you would like us to send you an Update Form please email us at alumni@eastwestcenter.org and we will send it to you. Don’t hesitate! Updated contact information received after June 30 will not be entered in our drawing. Good luck! 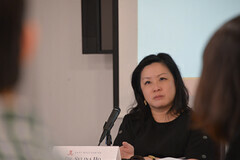 The 21st century is often characterized as the era of the post-national and the global. However, the world is still made up of diverse nations and states, and the survival and success of the global community depend on the ability of these nations and peoples to understand and cooperate with each other. The challenges of the 21st century cover virtually all aspects of life and society, including commerce, human rights and cultural identity. Globalization increasingly requires that problems of the environment, social welfare and technological innovation be dealt with in frameworks larger than the nation state. At the same time, states and governments also face issues that are smaller in scale than the nation state, including response to localized natural disasters, ethnic and religious conflicts, and demands from regions and other groups for changes. The EWC/EWCA International Conference will consider the position, importance and relevance of national interchange and interaction in the 21st Century and the impact of social, cultural, technological and political factors on traditional national frameworks and new international frameworks and institutions. 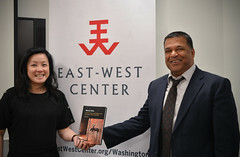 In doing so, it will draw on the richness of experience gained in half a century of study and involvement by alumni and staff of the East-West Center. 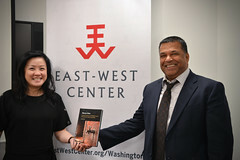 Since it is being held in Hawai‘i – the crossroads of the Pacific and the home of the East-West Center – the conference will also provide an opportunity for the EWC community to “return to the source” to renew old friendships and make new ones. We hope you will start making plans soon to join us!